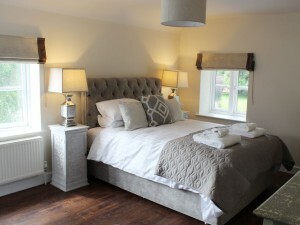 Over the summer we launched the new addition of 2 self-catering apartments. Already proving popular, the 2 apartments are a short stroll from The Kings Head and provide home from home self catering facilites in a luxury, stress free environment. The beautifully decorated apartments are next door to one another and sleep 4 and 6 respectively. In addition to the 6 Bed and Breakfast rooms available at The Kings Head, these apartments offer an alternative self-catering option for families or couples and friends looking for more flexibility. Right on the doorstep of the Inn you don’t need to miss out on the quality food, drink and service on offer! 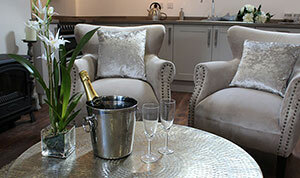 The apartments are furnished and decorated to a very high specification offering warmth, comfort and luxury. For more information on availability and prices, please call or email us, we would be really happy to talk through your requirements and get you booked in for a relaxing, luxury break away.